Great vision correction, long-lasting comfort and amazing quality of Biofinity products are provided by the Cooper Vision manufacturer. Biofinity lenses have been created for all people who expect something more from vision correction. They are intended for those who value convenience and look for a product that they could use 24 hours a day, without taking them off for 30 days and nights - 24-hour lenses. Biofinity spherical contacr lenses are made of a modern silicone hydrogel material. Thanks to the high oxygen permeability, the lenses can be used 24/7, which means they can be worn up to 30 days and 29 nights without interruption in use, without being removed. Thanks to the unique technology used in the production of Biofinity Aquaform® contact lenses, Biofinity lenses provide a very high level of oxygen delivery to the eyes. The lenses are naturally moisturized and their wetting does not rinse. Biofinity XR lenses are also available on the market, which have an extended power range from -20.00 to +15,00. Therefore, they allow to correct even very high eye defects, and at the same time retain their comfort parameters, they are healthy for the eyes. These contact lenses are intended for people who need astigmatism correction. 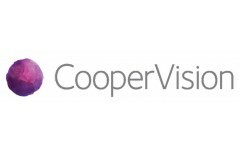 Cooper Vision provides optimal astigmatism correction for all patients. Biofinity Toric can be worn without taking off the clock for up to a month. Multifocal contact lenses are ideal for people who have reached 40 or 45 years of age and have lost the ability to acutely perceive close subjects. Presbiopia affects all people, without exception, then progressive lenses come to help. Thanks to Balanced Progressive ™ technology, Cooper Vision multifocal Biofinity Multifocal lenses allow you to see objects both near and far, ensuring sharpness and comfort without additional eyeglass correction. Get access to premier contact lenses from this industry leader. 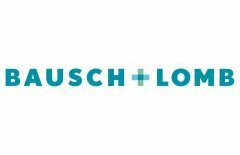 Contact Lenses 4 US is home to the finest products from this industry giant, with assured quality and option to ship all over the world. You can browse through the website to check out what all do we have at offer for you and see for yourself! Get them without any prescription! You can place your order for contact lenses without prescription as well. We believe that if you know your correct power, then you don’t need to show us a prescription from an eye specialist. 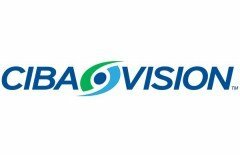 All you have to do is just go through the range of Ciba Vision contacts without prescription that we have at offer and place your order without any hassle. And, we will get them shipped to your address in the quickest possible time. So, stop running around everywhere in the market and place your order now! The one stop to get Cooper Vision contacts without prescription. Can’t believe it – you’ve got to believe it. Contact Lens 4 US is the one place where you can get to order contact lenses from Cooper Vision without prescription or without any hidden terms and conditions. We promise you of assured quality and price guarantee that you cannot get anywhere else in the market. 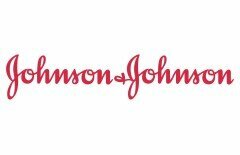 Contact Lenses 4 US is one of the few online marketplaces where you can place order for your Johnson and Johnson contacts without prescription. We ship these contacts all over the world, without any hidden charges. No matter where you are and what power of your lenses you have, if you need to buy contacts without prescription we can prove to be your best friend.